In 1986, Pope Saint John Paul II held the first “World Day for Peace” in Assisi. That day, 450 religious leaders from around the globe – including the Dali Lama and Archbishop of Canterbury – convened to pray for peace, unity, and interreligious understanding. On Tuesday, September 20, Pope Francis will carry on the thirty-year tradition as he ends a 3-day event organized by the Sant’Egidio Community entitled this year “Thirst for Peace. Religions and Cultures in Dialogue”. The Vatican has published the Holy Father’s Assisi schedule as well as a link to watch a live stream of the events on CatholicTV. Here is the link. When Pope Francis arrives in Assisi, he’ll be greeted by a group of faith leaders, among who will be the Archbishop of Caterbury and Ecumenical Patriarch Bartholomew. Afternoon prayer will take place in the Basilica of St. Francis, where the religious leaders also will meet “victims of war,” according to the Vatican. At the event’s end, the leaders will sign an appeal for peace that then will be handed to children representing various parts of the world. This reminds me of my trip to the Holy Land with the Catholic Press Association as part of Pope Francis’ historic pilgrimage there in May, 2014. During that journey, the Holy Father prayed again and again for peace, encouraging all of the faithful to join him in that prayer as well. Most touching to me, was the historic meeting between Pope Francis and Ecumenical Patriarch Bartholomew in the Church of the Holy Sepulchre in Jerusalem. The yearning for the Church to be able to “breath with both lungs,” as Saint Pope John Paul II described it, was so very clear in the faces of both men. 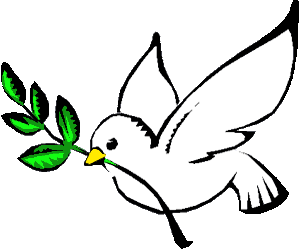 For me, the need for peace is very real. I witnessed it when I was in Israel in 2014 and Jordan in 2015. I witness it every time I read or listen to the news. I witness it when I hear about families being torn apart by domestic violence and abuse. And, sadly, I’ve witnessed it with the upcoming US Presidential Election. Recently, I posted on my social media the link to a news item about Donald Trump forming a pro-life coalition that included specific actions he’s committed to should he become president. My intent was merely to express that I was impressed with Mr. Trump’s plan. That is all. I wasn’t trying to antagonize, instigate, discredit, insult nor publicly endorse any candidate. What resulted both shocked and appalled me. My post turned into a vicious, name-calling brawl among the commenters. It was both sad and shameful. Is that what we’ve come to? That we’ll resort to verbal violence because someone differs with our political opinions? I immediately deleted the post. My point is that we need to conduct ourselves in peace. Whether it’s in war-torn regions of the world, a presidential election, our families, or our own hearts, we must strive and pray for peace. And so I ask you to join in the World Day of Prayer for Peace by fasting, sacrificing, and praying for peace in our world, our homes, and our hearts. Read more about my trip to the Holy Land and Pope Francis’ historic pilgrimage there in my book, Our Lady, Undoer of Knots: A Living Novena. Catholic Church, Peace, Pope Francis. Bookmark.